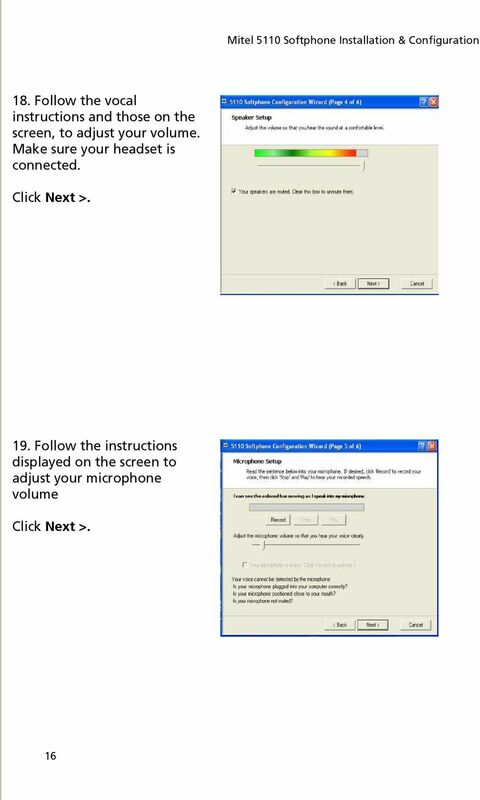 Download "Unified Communications Installation & Configuration Guide"
6 Step 2. 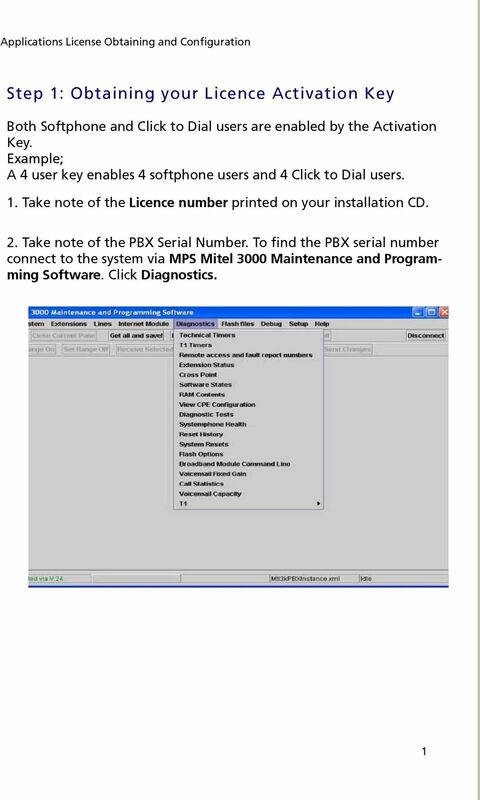 Configuring the Mitel 3000 Applications License Obtaining and Configuration Start the MPS and connect to the Mitel From the main menu click System, Select Systemwide Settings. 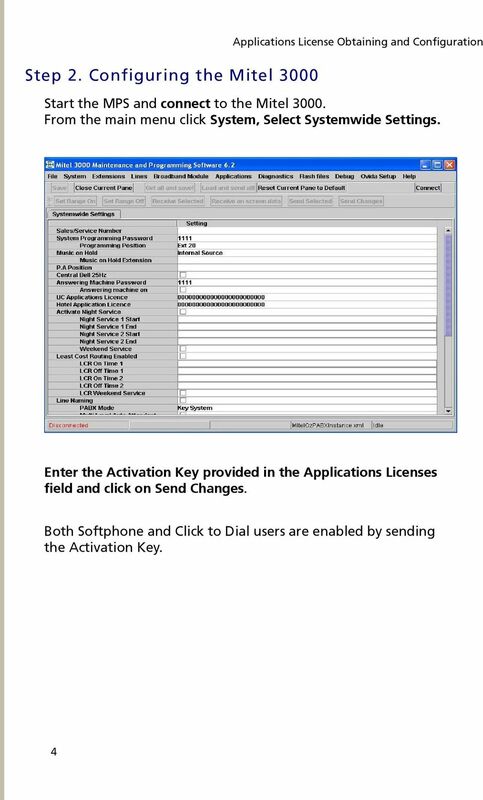 Enter the Activation Key provided in the Applications Licenses field and click on Send Changes. 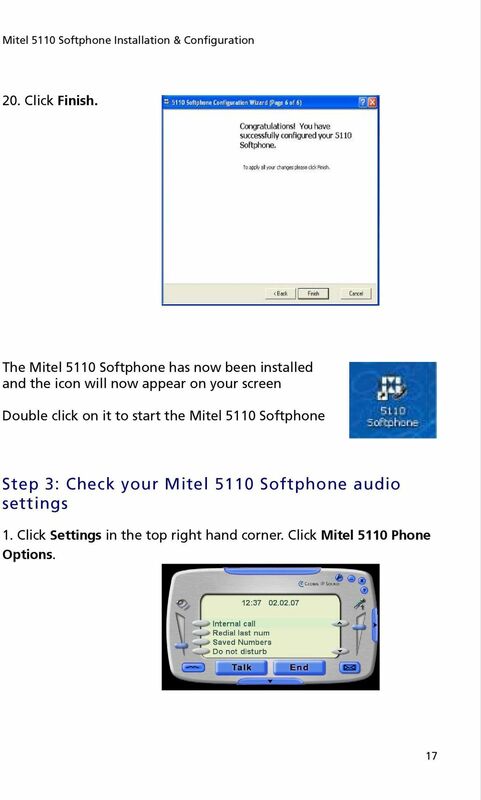 Both Softphone and Click to Dial users are enabled by sending the Activation Key. 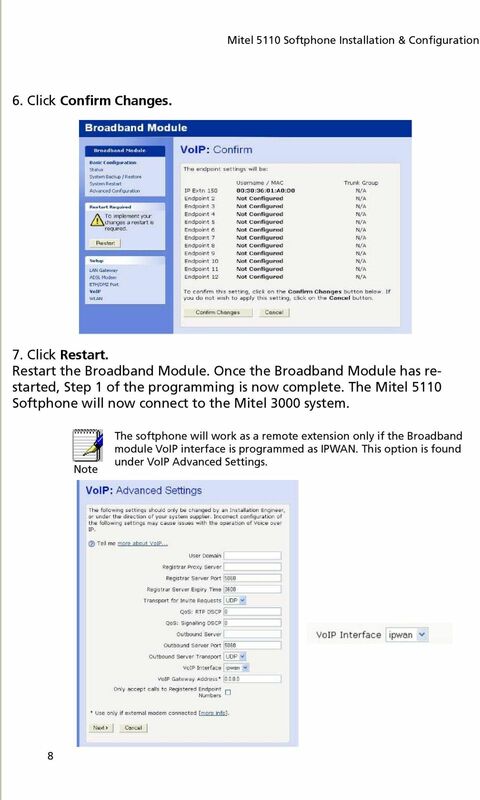 8 Mitel 5110 Softphone Installation & Configuration Note If the Endpoint screen is not shown it is because an IP address is not available to the WAN Interface. 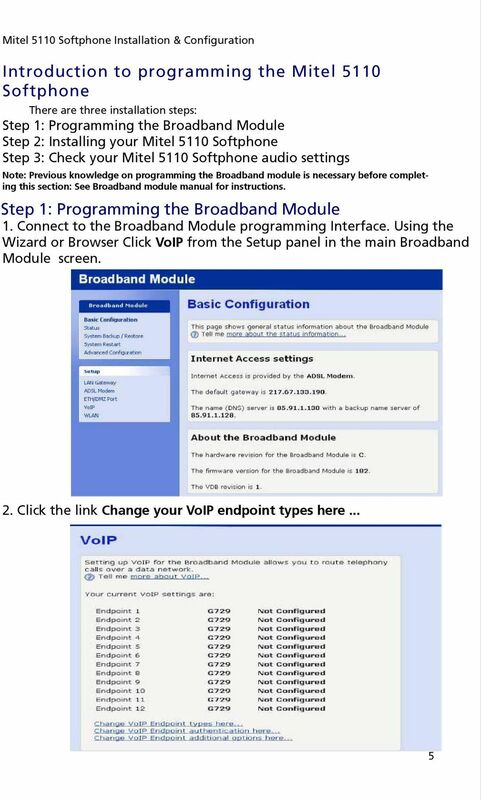 Ensure the broadband connection is available and working on the Broadband Module. 3. 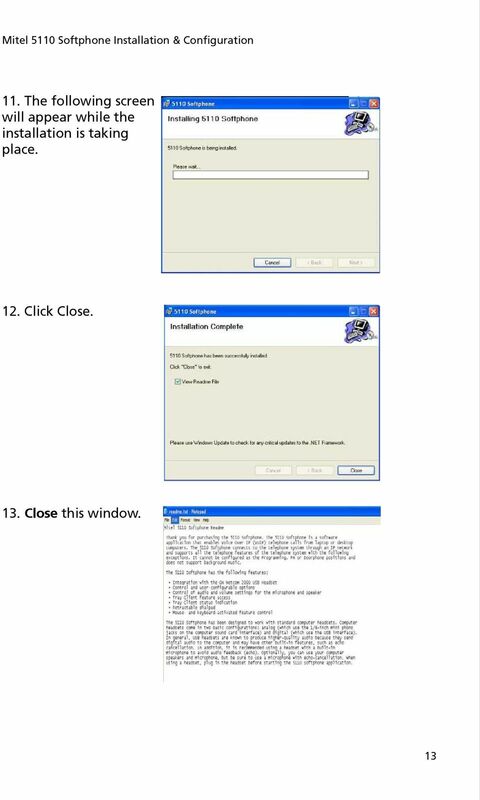 Choose a free endpoint and select IP Extension from its down menu. 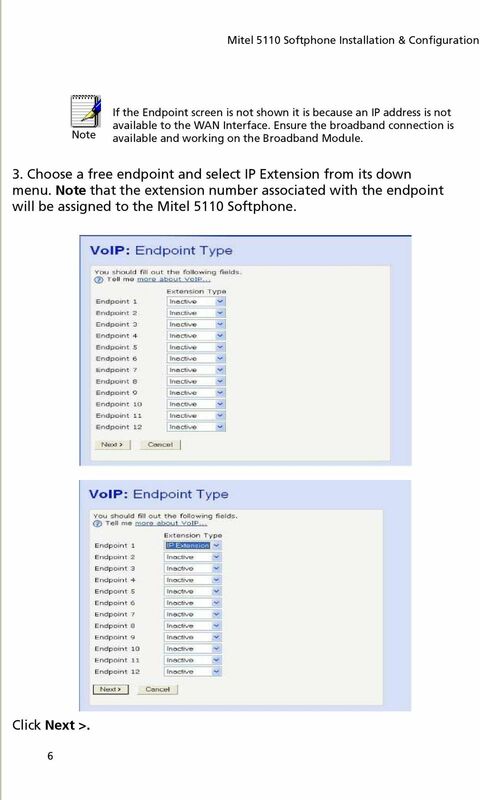 Note that the extension number associated with the endpoint will be assigned to the Mitel 5110 Softphone. Click Next >. 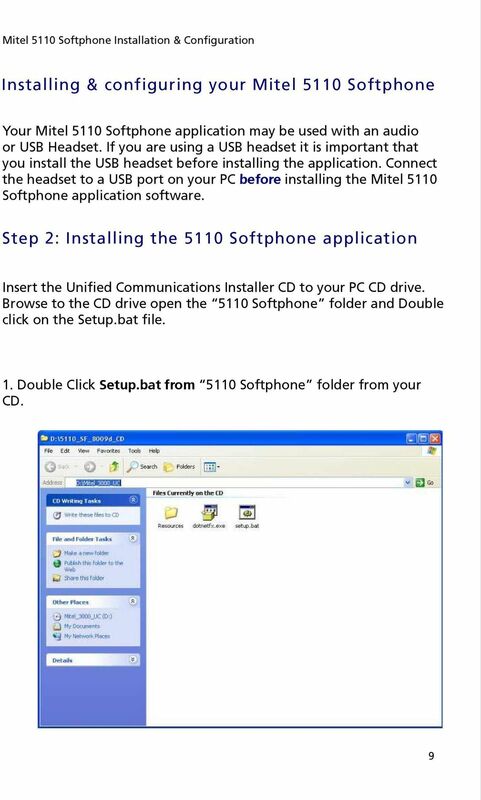 9 Mitel 5110 Softphone Installation & Configuration 4. Click Confirm Changes. 5. In the following page you will observe that a default password is set, this password should be kept as it is and should not be changed. 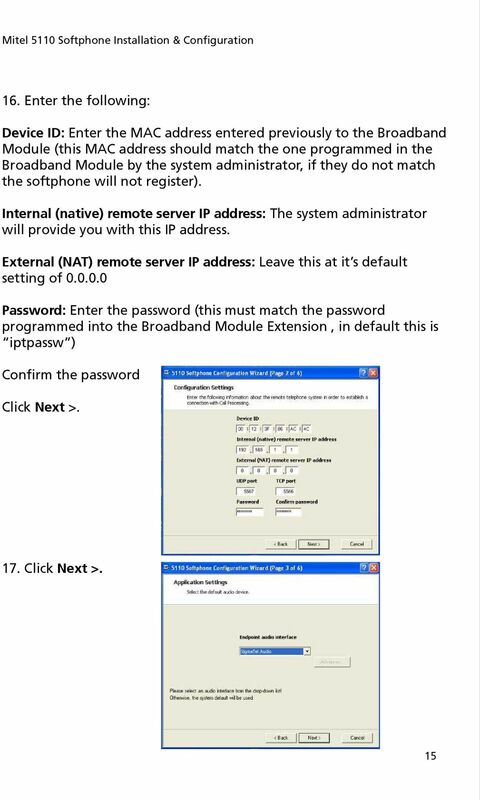 This password matches the password of the Mitel 5110 softphone. If changed the softphone will not register. (Default password: iptpassw ). 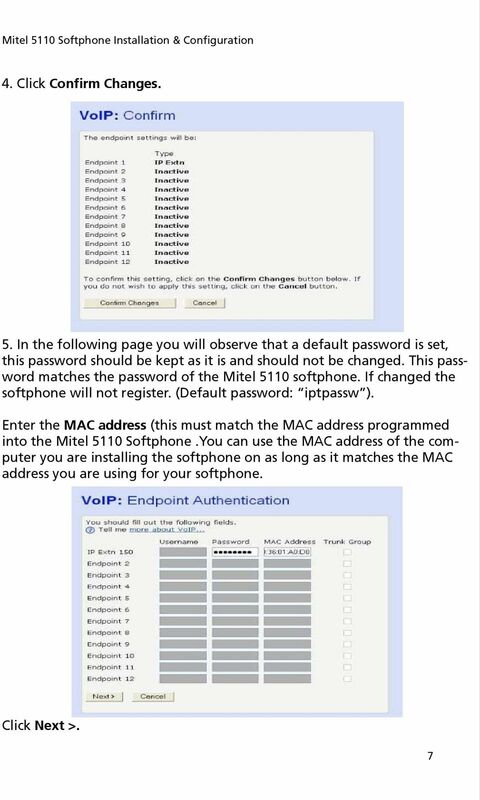 Enter the MAC address (this must match the MAC address programmed into the Mitel 5110 Softphone.You can use the MAC address of the computer you are installing the softphone on as long as it matches the MAC address you are using for your softphone. Click Next >. 30 Global Headquarters U.S. Tel: +1(613) Fax: +1(613) Tel: +1(480) Fax: +1(480) EMEA Tel: +44(0) Fax: +44(0) CALA Tel: +1(613) Fax: +1(613) Asia Pacific Tel: Fax: For more information on our worldwide office locations, visit our website at THIS DOCUMENT IS PROVIDED TO YOU FOR INFORMATIONAL PURPOSES ONLY. 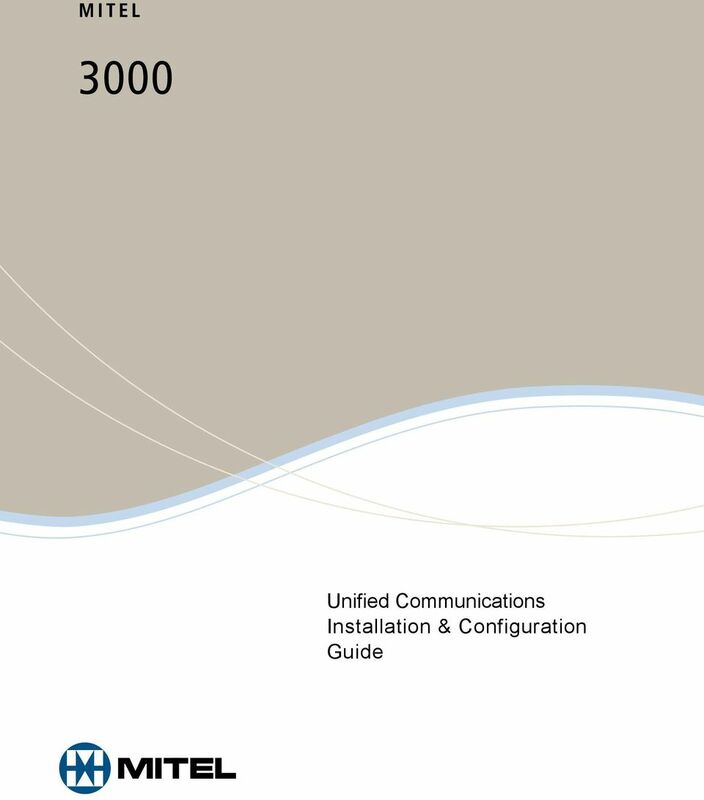 The information furnished in this document, believed by Mitel to be accurate as of the date of its publication, is subject to change without notice. 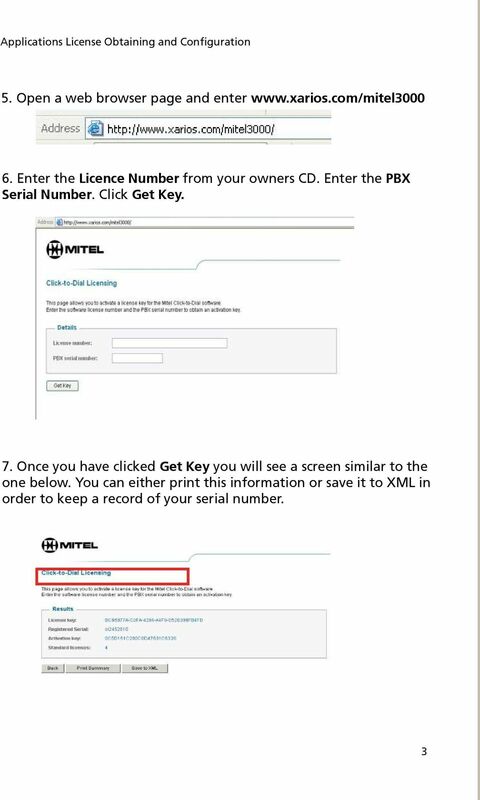 Mitel assumes no responsibility for any errors or omissions in this document and shall have no obligation to you as a result of having made this document available to you or based upon the information it contains. M MITEL (design) is a registered trademark of Mitel Networks Corporation. All other products and services are the registered trademarks of their respective holders. 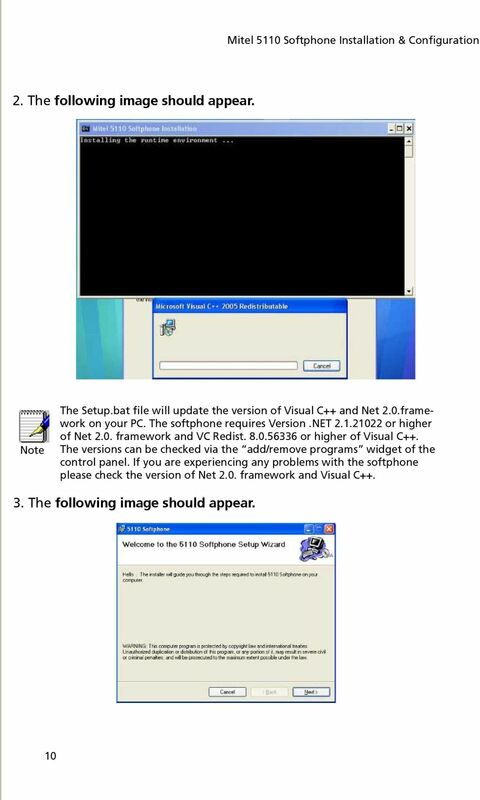 Copyright 2008, Mitel Networks Corporation. All Rights Reserved. 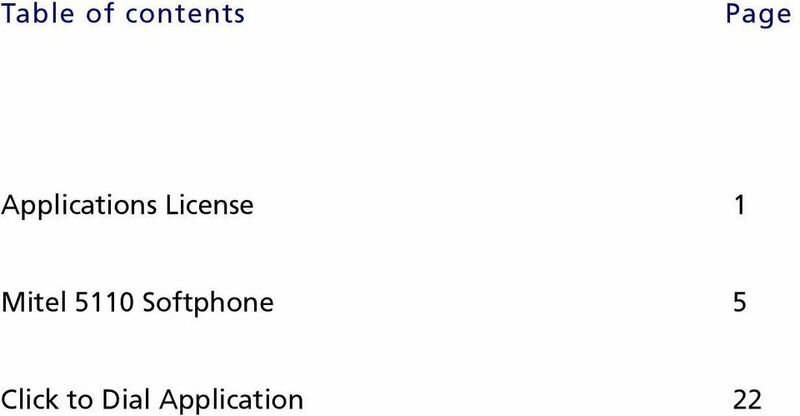 Additional Requirements for ARES-G2 / RSA-G2. One Ethernet 10 Base T/100 Base TX network card required for communication with the instrument. 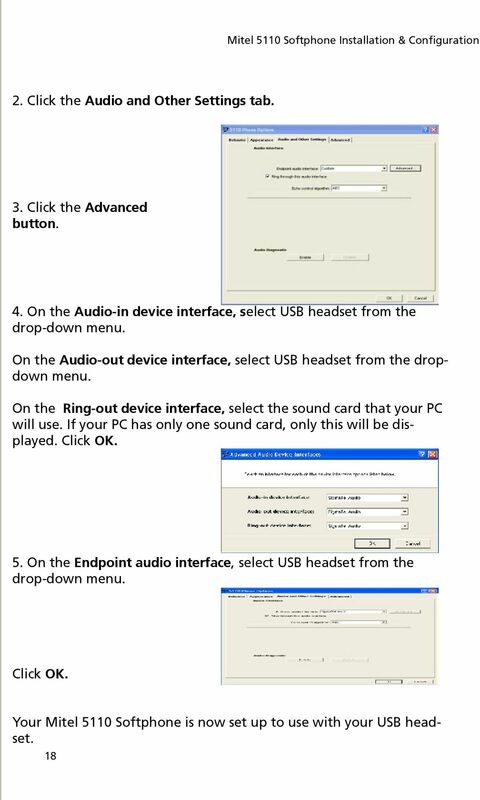 for Windows 7 Laplink Software, Inc. Quick Start Guide h t t p : / / w w w. l a p l i n k. c o m / h e l p MN-LLG-EN-15 (REV. 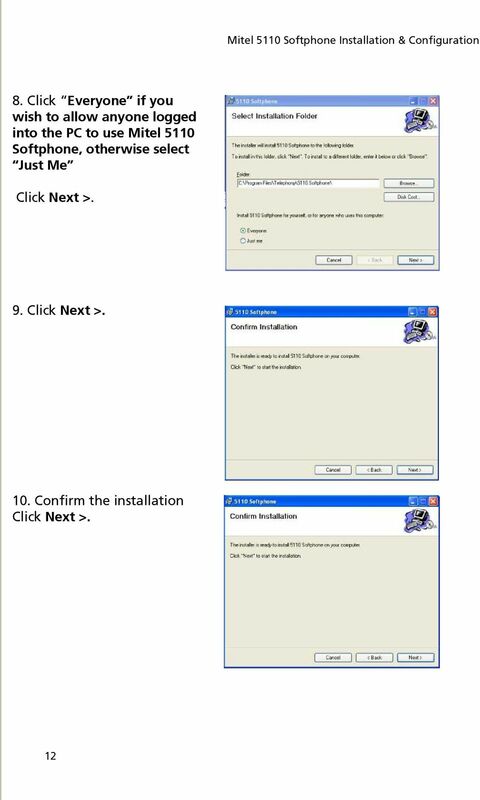 SQL Server 2008 R2 Express Installation for Windows 7 Professional, Vista Business Edition and XP Professional. 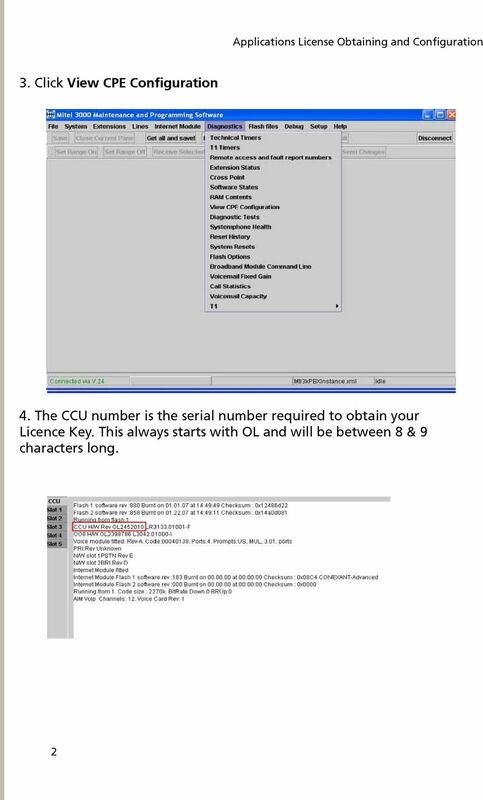 PIGCHAMP MOBILE PigCHAMP Knowledge Software Installation Guide for Mobile Units Table of Contents: Important Note:... 4 Chapter 1: PC Setup... 5 A. Install PigCHAMP Mobile Manager on Windows XP...5 B.